An attractive ankle-high monk strap boot that’s waterproof! That’s the "Peggy” from Aravon, which is seam-sealed against bad weather and has moisture-wicking Dri-Lex® linings. 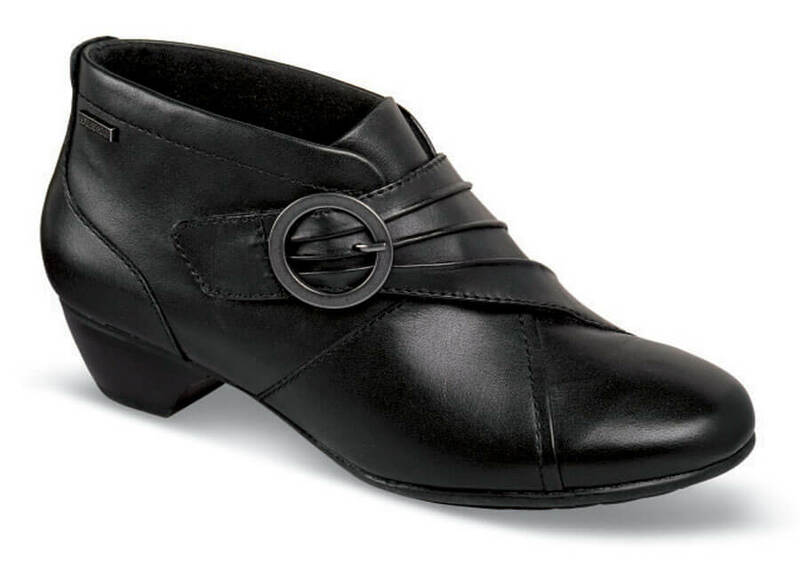 Adjustable hook-and-loop closure with a stylish pleated strap. The EVA and Memory Foam molded footbed with "stability cradle" is removable. Steel shank. 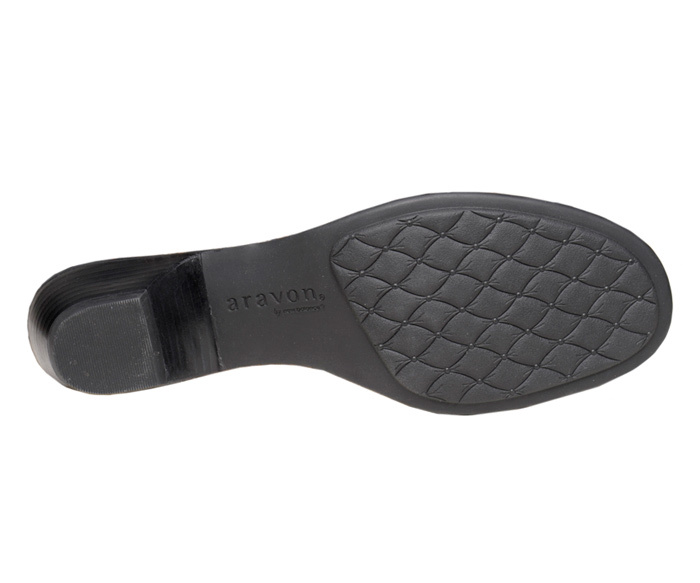 Rubber outsole with 1½ inch heel. 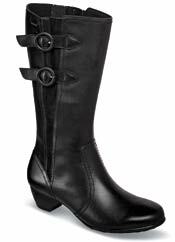 Women's sizes 6½–10, 11 and 12 in 2E. Limited stock available.